You’ve finally decided how many people are going to attend your big event and you’ve even decided the tables you are going to use. So now you’ve got to decide what you want your guests to be seated on. 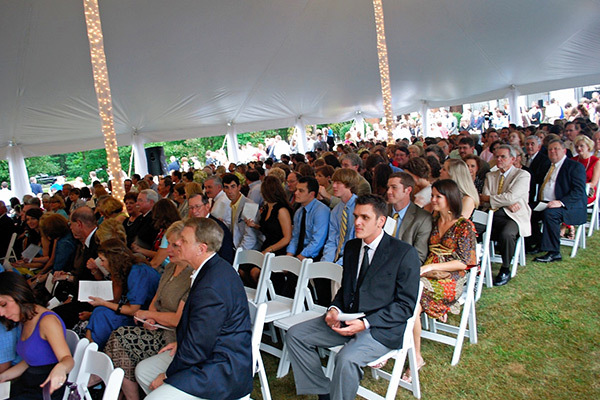 Chair rentals are an important decision to make and at Your Alabama Wedding, we offer several choices. Are you expecting your guests to be seated for long periods? Maybe you want your guests to experience our most comfortable chairs. Then try our chair rentals in the natural wood chairs with tan cushions. Or, try our white padded resin chairs for that slightly more elegant look. Maybe you don’t want your guests to be seated the whole time. You’d rather they be up dancing or mingling. Perhaps you are looking to stretch your budget a little further. 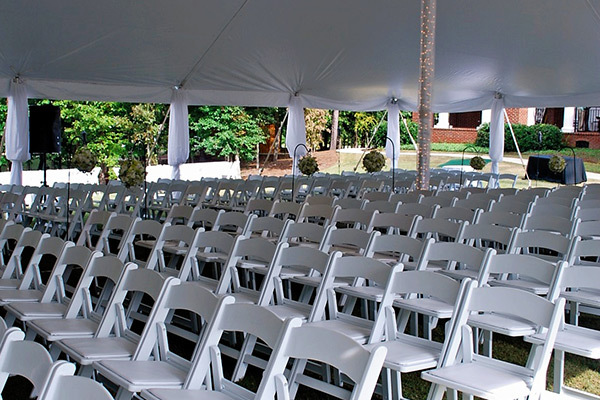 Then go with our durable folding plastic chairs that come in brown or white. 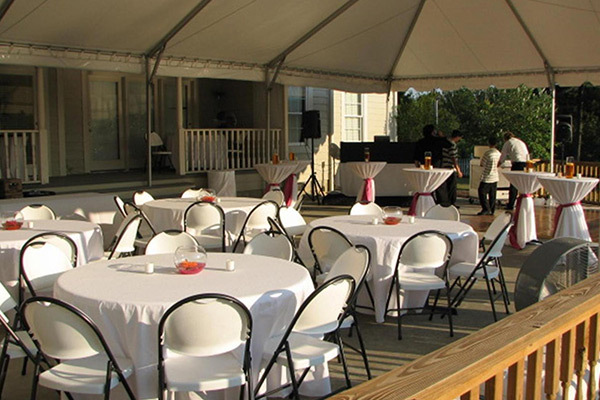 Picnic benches can be also be placed throughout an event for convenience and added seating . Going a bit less formal or have a specialized theme? 6 foot picnic tables are available with separate benches for ease of getting in or out. These picnic tables seat up to 3 on each side. 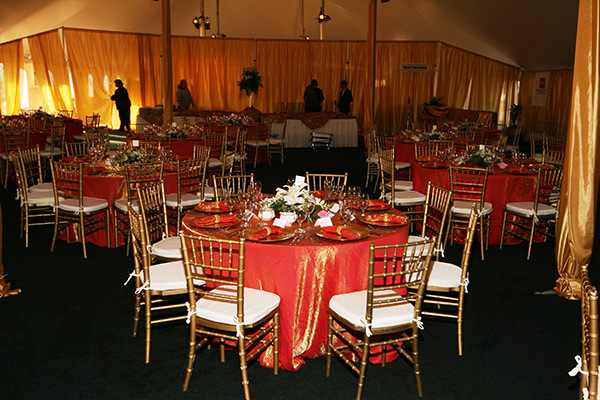 We also have a large selection of tables, tents, lighting, stage rentals and more! Whether you’re planning a small intimate party, a big church activity, or a corporate event, we can provide whatever you need to make your guests feel comfortable and assure that your day will be a success. Allow us to offer you a proposal that will meet your needs and stay within your budget. Give us a call today @ (205) 631-2670. Check us out on Facebook or get some wedding ideas on Pinterest. © 2017 Your Alabama Wedding. Site by Zeekee.